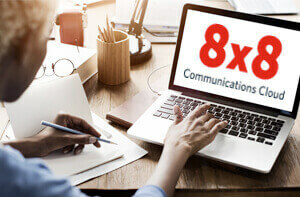 Tips for Professional Business Voicemail Greetings | 8x8, Inc. Your voicemail greeting has a big influence on the way you’re perceived by the people you interact with. Often, it’s their first contact with you. A casual “Hey, this is Joe. I’m not here right now so leave me a message” probably won’t project the right image both personally and professionally. It pays to invest a little time to create an effective, concise outgoing greeting. One of the most important things to include in your voicemail message is the information you’d like to hear from callers. This might be as simple as their name, message, and call back number. You might ask the best time for you to call them back or if they’d prefer to receive an email response from you. For clarity, avoid including background music unless it is very soft. Make sure you go through your inbox and clear out old messages. If your box is full, you could miss important messages. Consider using these tips for your business phones. Your greeting should include your name and your company’s name, so callers know they have reached the right contact at the right business. If you’ll be on vacation or unavailable for an extended period, consider including the number of a colleague who can assist your caller. If you are often out of the office, you may want to include alternate contact information, whether it’s your cell phone number or your email address, so that clients can reach you while you’re away. If you have an Android or iPhone/iPad, you can also use the 8x8 Virtual Office Mobile app to receive calls on your smartphone. Callers will hear the same voicemail message they would hear on your Virtual Office phone. You can also use your Virtual Office advanced call forwarding rules to ensure callers reach you no matter what phone you are using. Tell callers you will return their call, not that you will try to return their call. Callers are more likely to leave an informative message if they know you will call them back, no matter what. If you answer calls at specific times of day, specify this time so callers will know when to expect to receive your call. When you record your outgoing message, you are representing your company, so be sure your voice matches the company’s image. If you work in a retail setting, your voicemail message might be different than if you work in a hospital. Update your message frequently. Keep it up to date so callers will know if you are away for a week, attending a convention, or just out for the afternoon. Tip: If you have selected a “main number” for your company, 8x8 Virtual Office is programmed to transfer callers to your main number when they dial 0 while your greeting is playing. Before mentioning this option in your greeting, it’s a good idea to test it first. Consider keeping your personal voicemail greetings (the ones you use for your home phone or personal cell phone) professional-sounding. You never know who will call—and whose call you might miss. Be sure to include your name or your family’s name in the message. People want to know who they’ve reached. You don’t need to include your telephone number, because the caller has either just dialed your number or has it saved in an address book. If multiple people use the same phone number, be sure to include everyone’s name. For a personal message, feel free to represent your personality—but still remember to keep the message simple and straightforward. For safety reasons, never say you are “not home” or “away on vacation for the next 2 weeks.” A personal message, especially at your residence, should just say you are “not available to answer the call.” Since the message is generic, you shouldn’t have to update very often—unless you want to. Think about public speaking: Do you deliver speeches better if you have a few notes, or complete sentences written out? Whichever works better for you—do it. Think about talking the way you would at a business meeting: calmly and professionally—but with your own voice and personality. Ask a friend to review your script. Another person will notice any errors in your script that you have glanced over. Before you start rehearsing, make sure you’re in a quiet place, where you will not be interrupted. Put yourself in a good mood. If you’re feeling good and smiling, you can hear it in a recording. Practice reading out loud. It’s completely different from reading in your head, and you’ll notice things about the script that don’t seem natural to you. Make any necessary changes to the hard copy of your script before moving on. Using a computer, your cell phone’s “voice memo” feature, or another recording device, practice recording your new voicemail message. Play back the recording and make sure it sounds good to you. You can also ask a friend to listen to the recording if you’re not sure. Make any necessary adjustments and continue to practice until you’re comfortable. Do a trial run of your recording, so you can familiarize yourself with the prompts on your phone. It can also be helpful to write down the order of the prompts into your script. This way, you’ll know exactly which key to press at the end of the recording, even if you’ve forgotten the prompt given earlier. Take your time while you are recording. Speak just a little bit slower than you think you need to. If you’re in a noisy environment, try picking a time when things are quiet, or dialing in from a quiet location to record your greeting so you don’t have distracting background noise as part of your greeting. Keep thinking of whatever it is that makes you smile—and smile while you are recording! Listen back to the recording. If you’re truly satisfied, activate the message. If not, re-record until you are. Take the extra time to do your recording right and make sure you are completely satisfied. If you’ve put the time in, you’ll reap the benefits. Your voicemail message can be one of your first impressions to the world, so it’s important to keep it clear, professional, and up to date. It’s important to use your voicemail message to ask people for the information you need from them. Make sure you rehearse your message and record it with clarity and confidence. At home, on your cell, or in the office, voicemail greetings are one of the faces you present to the world. Follow these tips to make sure yours is outstanding. If you’re feeling uncertain about creating a professional voicemail message on your own, consider “going pro,” and having a voicemail message professionally produced and loaded onto your phone for you. This might be useful if you have a heavy accent or are feeling a little shy about recording your own message, or perhaps if you want to represent yourself as an executive with an assistant who answers your calls. 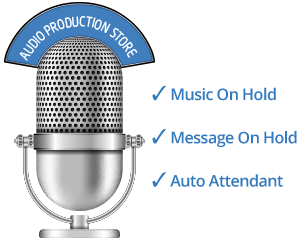 For more information on ordering affordable, professionally recorded greetings, visit our Audio Production Store.